What you thought you would never do. As I journey through life I find there are things I end up doing, that I never that I would do. Its silly how when you are younger you think that you would never do certain things. For example I use to think that sewing was something only older ladies done ( no offense ladies). Now I love to sew, quilt and find myself looking for time to fit it in and yet it lyes there undone most days. Now I would jump and change my schedule for a chance to sit down and soak up some quilting/sewing knowledge from one of these special ladies. This post is not suppose to be about sewing through, this post is about something else I thought I would never do. 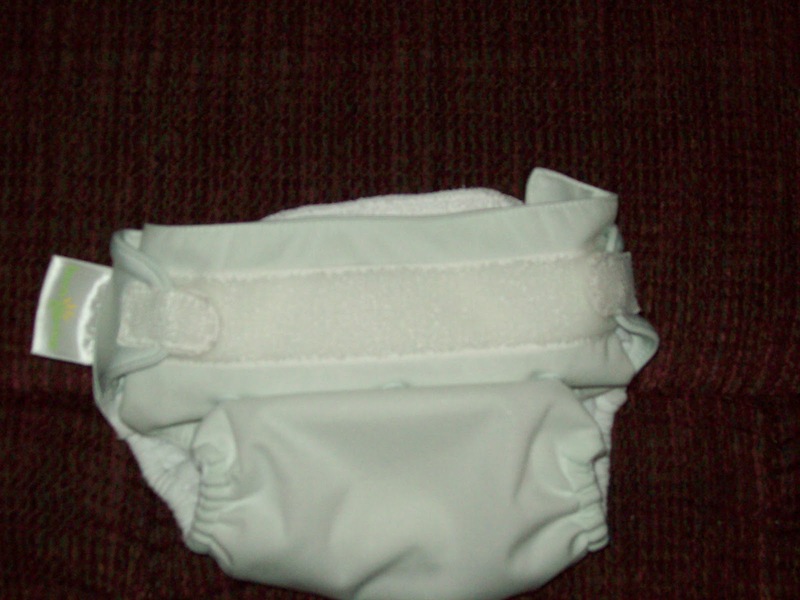 Cloth diapering, yes you read that right. 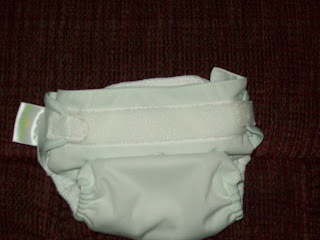 I am using cloth diapers and I actually like it. When I first heard about it, the images that fill my head were of plain white pieces of cloth that you fold and I couldn't imagine how that could keep in a mess. Well I am here to tell you that cloth diapers have come a long way. They are sort of like cars you can get the basic or the fully loaded. (lol) They have diapers now that you put on just like a disposable only it is cloth. There are so many different types of cloth diapers it can make your head spin. Hopefully I can do some reviews of some of the ones I have tried for you here. One of the best retailers for cloth or and lots of other natural products I have found is Jack Be Natural they have the best customer service, ever. No they didn't pay me to say that. I need to update my profile since its says I am a mother of 2. Obviously from previous post you can tell that I am now a mother of 3. So I'm sure you can understand why I have not blogged for a while. I hope you understand dear readers. I'm not gonna make any promises about how much I am gonna blog now because I know me, I will just say that since it is my priority to put my family first. I will do my best. Schooling and just life has kept us super busy. I have found that I just can't seem to get or keep the house clean. I have tried decluttering over and over again. I don't have a problem living with less, or a minimalist lifestyle as some call it. I can get rid of stuff pretty easy. However when you live with 4 other people who also need things and don't like to declutter as much as you do it can make it a lot harder. I love to organize and find new places and ways to store things so I will be working on that and cleaning out my closet in the next few weeks. When we moved things out of the extra room/sewing room/playroom for the baby room (that she hardly uses) almost everything that I didn't get rid of ended up in my closet. It's bad believe me I can hardly walk in there. Maybe its not the stuff maybe I just need to step it up a bit. Well since I have been sitting here nursing my baby. I have had some time to think about school planning. I have been using some of this time to research math programs. The ones we have tried so far have just not worked for us. Some have worked ok, but I think there must be one that is a better fit. The ones we have tried are great programs nothing really wrong with them. They work great for other familys. They just didn't work that great for us. So I think I have decided to try BJU( Bob Jones) Math. Its funny because, BJU is a curriculum I never thought I would use. This is what I plan to use for other subjects. Keep in mind I am still in the planning stages. This could change.lol I have 2 school age children this is a list of what we wil use. They won't both be using all of this. spelling from this as well as copy work. Have you used BJU? I'd love to hear about your experience with it. When I get a spare moment, when I not homeschooling or cleaning. Wait a minute I'm always homeschooling even when working on a sewing, since I'm teaching my children to sew too. 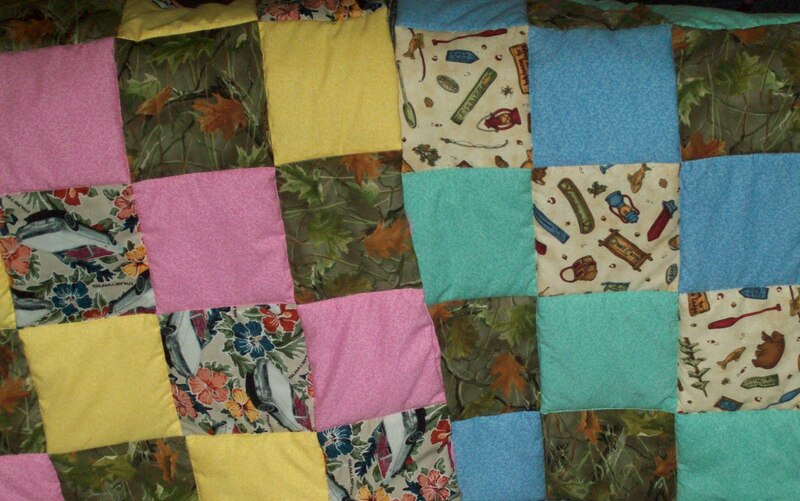 Anyway I found that I love quilting. I first started off learning to sew skirts for my girls then I tried quilting a little. I made these two baby quilts for my twin niece and nephew. They just turned 2 yesterday. I really need to get sewing since then I have only made one small quilt for Kaylee and cut the squares for Kamber Grace's quilt. A few months ago I tried a table runner I finished the top but haven't quilted it yet and now I'm working on a play mat for my niece baby that is due only 7 days before mine. Last but not least I am also working on a baby quilt for our new baby. To many projects at once. 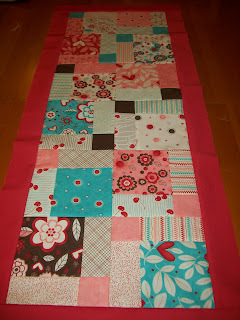 Anyway I have some pictures I wanted to share with you of my first quilt and the table runner. As soon I take pictures of the finish the others and take the pictures I will share those too hopefully. What projects are you working on? I would love to see your fix up projects or crafts and especially sewing projects. Post them to my comments. Well, we tried Time4Learning for a month, time really flew by. It seemed it was over before it got started good. I used Time4Learning as a supplement to our homeschool curriculum we were already working on. The girls were both pleased to be able to do some of there learning at the computer. They also loved the reward of the playground time after the lesson time. One thing I found very helpful was that if I needed to work with my older on a subject that needed my attention. I could put my younger child at the laptop, right beside me so I could still keep an eye on her work. I could log her in to Time4Learning and choose what subject or subjects I wanted her to cover for that day. It would completely explain everything to her. She really enjoyed the work, she did get a little frustrated at the detailed directions she would understand the directions and be ready to begin, but it would still show an example before she could begin. Wish we could have skipped that part sometimes. Maybe we could have but I never figured out how. However there were times that she needed to see the example. It seemed that the level I placed her in was to easy for her. That's one of the great things about Time4Learning though, you can change your child's level at any time. I never did change it because I kept thinking she will get to something that is a little harder. I didn't want her to miss anything. Guess that just reassures me that I have been covering things pretty well with her already. Time ran out on my free trial before I had a chance but my plans were to move her to the next level and see how she would do there. Also on the lessons that are just way to easy, you can just exit out of them and skip that lesson. You can have you child do whatever lesson you want them to. My older child also really enjoyed the lessons and was challenged. She actually did some lessons on a few things we had not covered and some that we had covered. I was pleased to see that when introduced to these new concepts on computer she learned them and did really well. I did step in a few times to assist. To make sure she understood. You don't have to though the test at the end of each Time4Learning chapter would let you know. That's just the type of homeschool mom I am. I could go on and on they have a parent forum that I'm sure I would have learned from but I just did not have the time to check it out. You can email or call support with questions. They have lessons from Pre-K to 8th grade. Overall we had a great experience with Time4Learning. This is something I would love to add to our curriculum. I would especially love to use it over the summer since after a few weeks of hot weather and being off. I like to continue with a lite school schedule to keep them from getting bored. With a new baby due in June this would be very helpful. It will be very helpful in the fall also. Now let's talk about the cost of this curriculum. Now the price is not that high, especially if this is the only curriculum you use. It's around $20 per month for one child. For both my children it would be around $35 per month since they do offer a discount for more than one child, it $14.95 for each additional child. For all of what they offer that's a great price. It's just that it's not in our budget at this time, but I sooo wish it was. If you want to try Time4Learning now would be a great time, since they are offering an awesome special right now. From now until April 30, you can sign your children up for only $4.99 per child for your first month. No limit to the number of students and don't forget there two week money back guarantee! Click here to try it for your family. 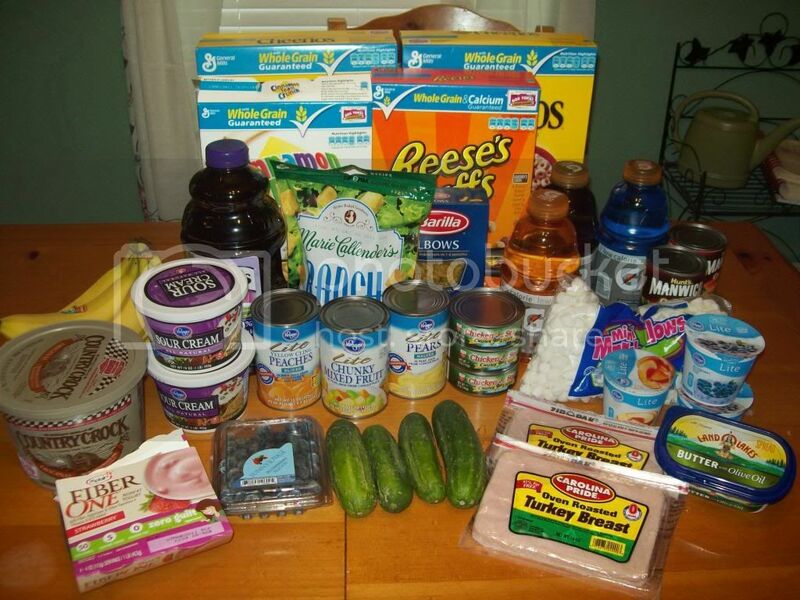 One of my favorite blogs to read is Raising Homemakers I wanted to encourage you to take a look today. Especially at this post written by a young lady. I shared it with my girls and thought you might want to share it with your young ladies too. It doesn't snow very often in Ga. I remember on the rare occasion that the beautiful white stuff would fall from the sky. When I was in school, I would be so upset that we had to sit and look at those ugly walls and could not go out and enjoy it. As soon as the final bell would ring. You know the snow had already stopped falling. Well there isn't any snow falling here today. When it did this year and last year, you know where we were. .....That's right outside enjoying it. Today it is a beautiful spring day. It began with a light sprinkle of rain. When my girls went to the window there were American Robins, at any window they chose to look out. These are the kind of homeschooling days that I love. After our Bible lesson we grabbed our bird books and our Draw Write Now and learned about the American Robin and both girls drew a picture with some copy work at the bottom to add to their notebooks. Now ordinarily we would have stayed on schedule and covered Reading, LA, and Math then on to our state study of the New England States that got started from a FIAR book. Just this week my 6yo had told me 3 or 4 different times, that she wanted to study birds, butterflies, flowers and Indians. We have studied Indians before, so I started gathering all the books on birds, butterflies, & flowers that I could find. We started on the butterflies yesterday and touched on the birds today. It may sound like I'm jumping around a lot, but actually I'm not. You see the state study will tie right back in since each state has state symbols and most of them include a bird or butterfly or flower of some kind. As a matter of fact one of the New England States, Conn. state bird is the American Robin. We are on routine that we usually do stick to. I also think it is just as important to teach a lesson when they are interested. I love to read a book and then when they begin to ask questions go off on a rabbit trail of learning whatever they are interested in. Do you think a child will learn more from the same thing each day or from what they are really interested in at the time. This is another reason I am so thankful to homeschool.